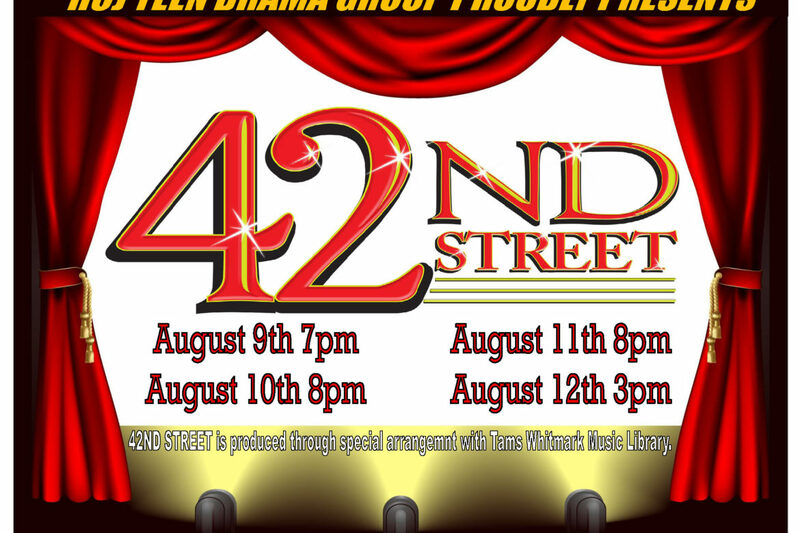 Every summer, the HCJ Teen Drama Group presents a spectacular musical production featuring the talented young people from our local communities. 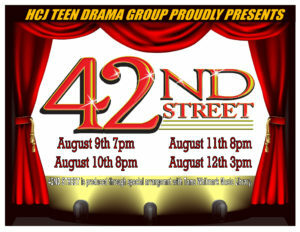 This summer, HCJ Teen Drama Group proudly presents, 42nd Street. Show dates are Thursday, August 9th at 7:00 pm, Friday, August 10th at 8:00 pm, Saturday, August 11th at 8:00 pm, and Sunday, August 12th at 3:00 pm. Tickets can be purchased in advance or at the door and cost $12 for Adults and $10 for Seniors/Children under 12. For more information, call (718) 847-1860 or email HCJTEENDRAMA@gmail.com.